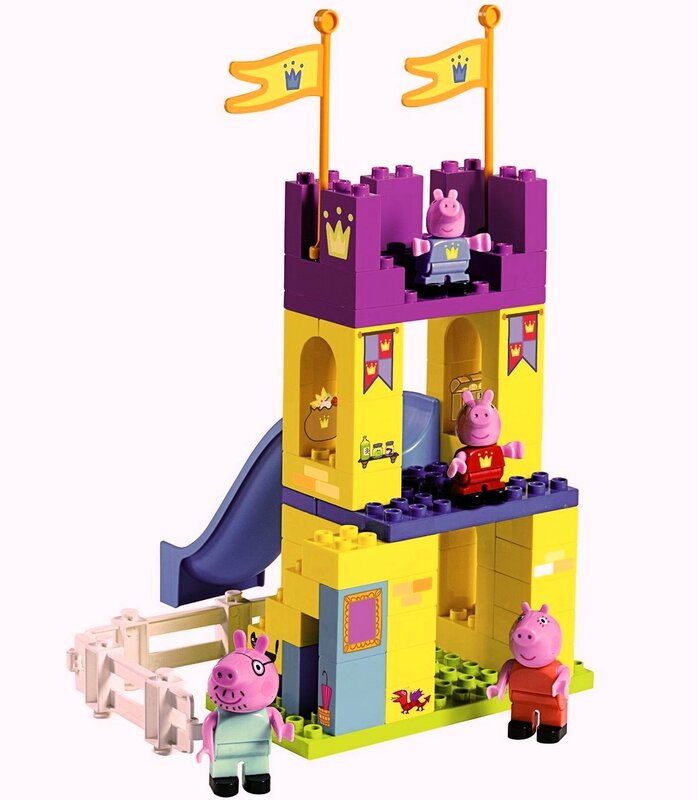 Since Peppa and her family first appeared in cartoon form over decade ago she has gone from strength to strength. 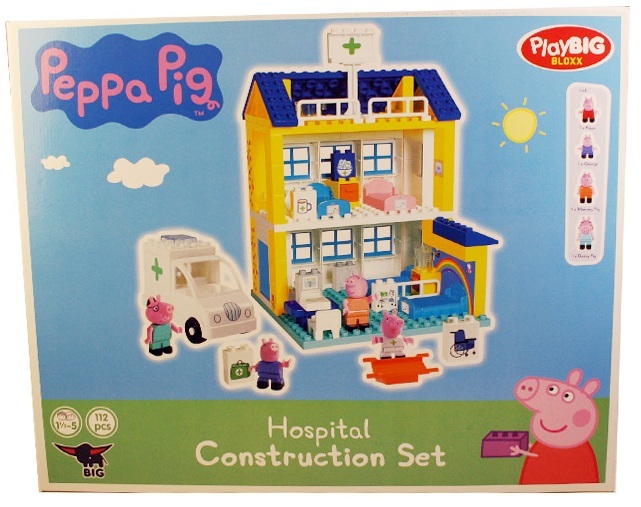 Some brand new Peppa Pig Toys just in at Comaco are these great Lego style construction block sets from Big. 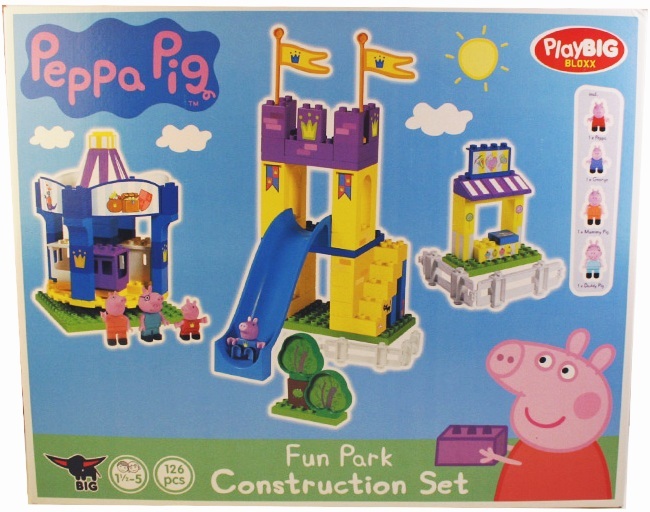 Both these these sets contain over 100 pieces and include 4 Peppa character figures. The boxes are a whopping 58 x 47 x 12 cm. 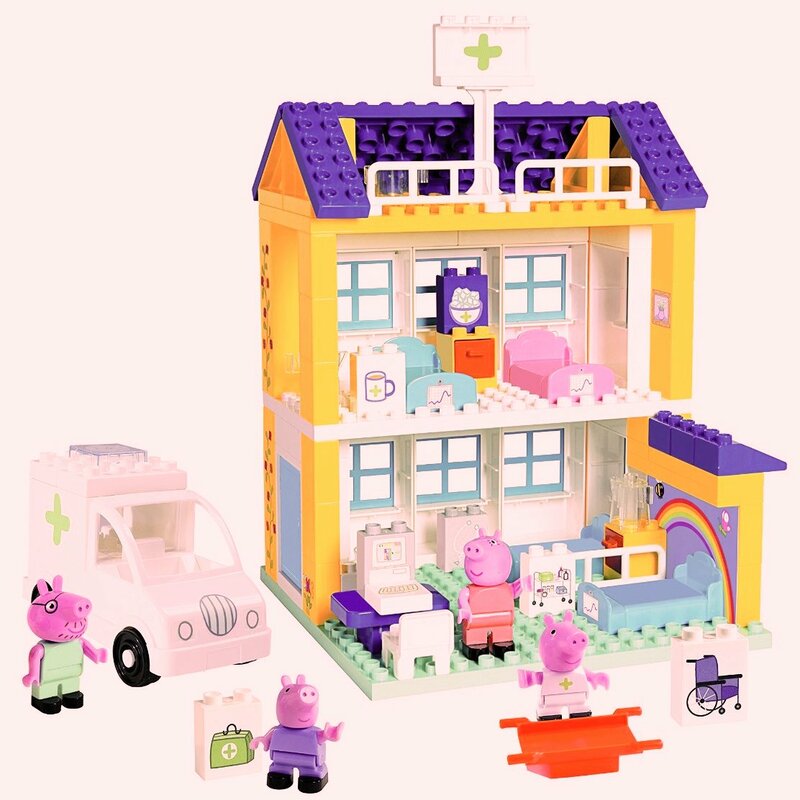 This one is a more modest 15 pieces and includes a Peppa Pig figure. The box size is 18 x 12 x 9 cm approx. 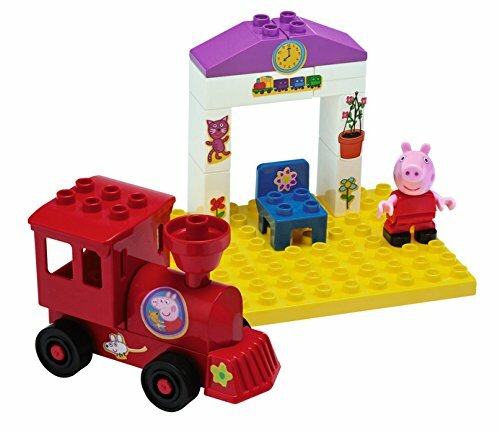 We have just received a selection of Thomas the Tank Engine Toys we would like to share with you. Thomas first appeared in print 70 years ago and the popularity of this little engine and his friends seems to show no sign of waning. Many parents who are now buying the toys and books for their own children will have strong memory’s of Ringo Starr’s distinctive narration in the original TV series. 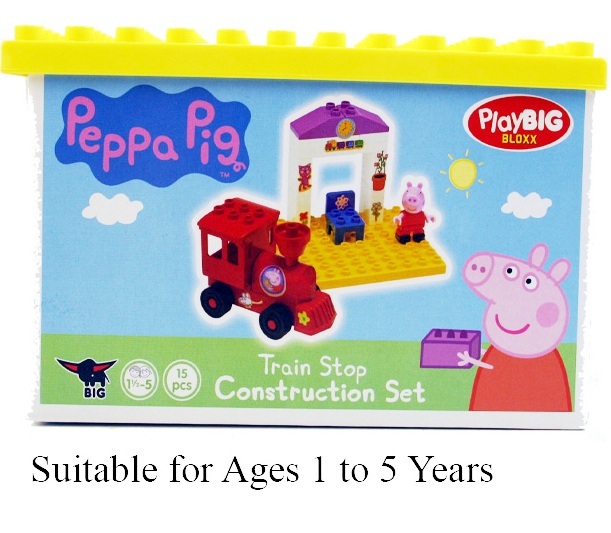 We have three train sets available. 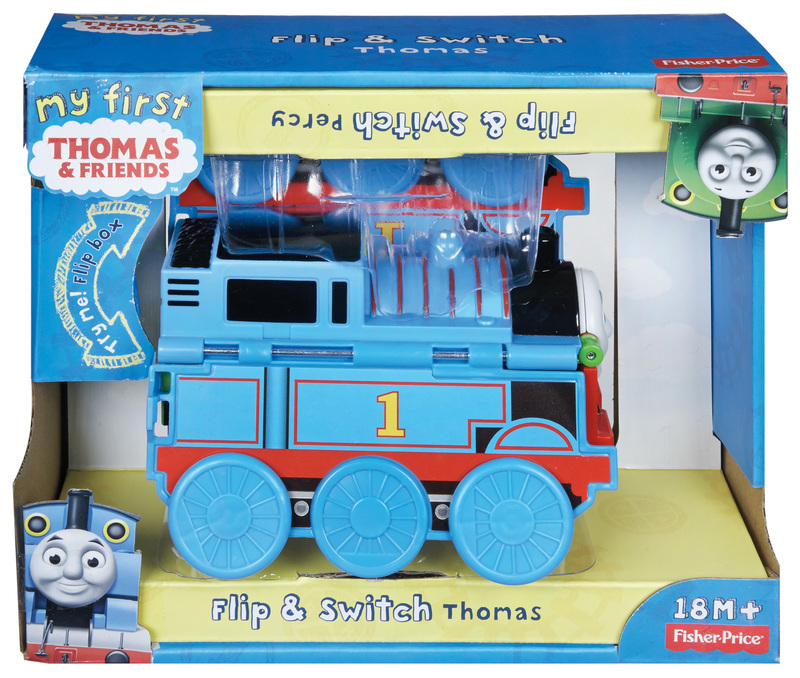 The Fisher-Price Flip and Switch Thomas/ Percy cunningly transforms from one engine to the other – two toys in one! 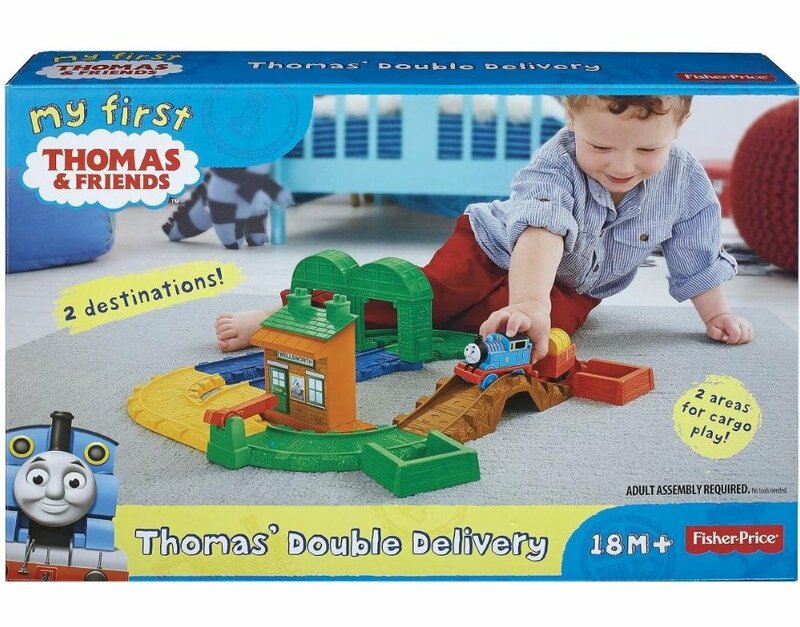 Meanwhile, also from Fisher-Price we have Thomas’ Double Delivery. Two in one is the theme again, but this time this train set has two different destinations and two areas for cargo play. 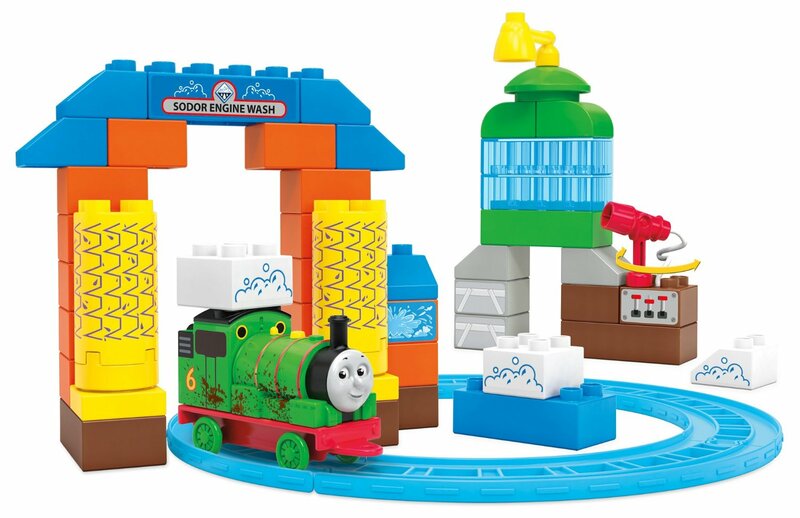 Children can help Thomas on his journey and raise and lower the crossing gate as they send him on his journey. 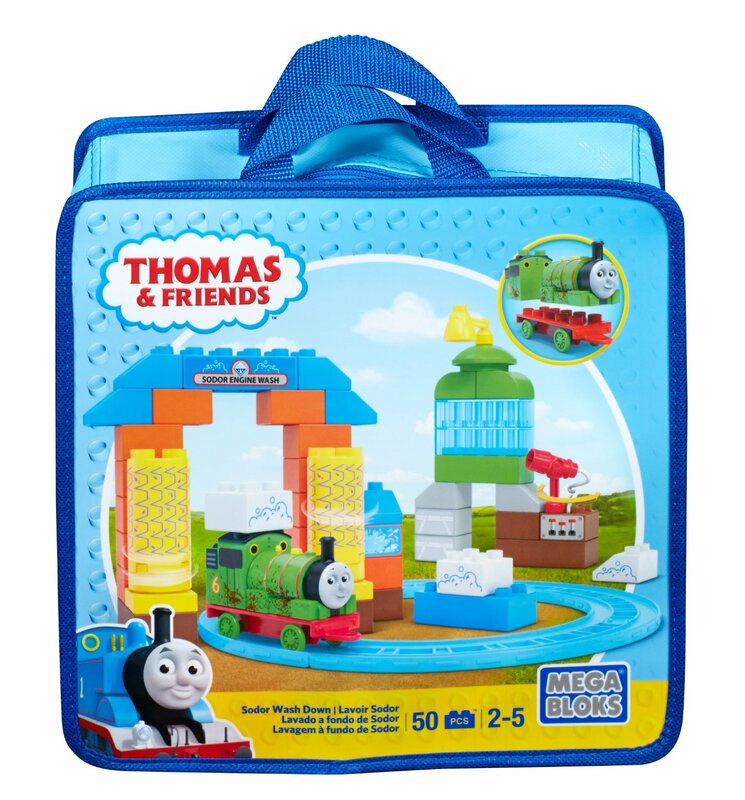 Finally there is a 50 piece Mega Bloks construction set: Thomas and Friends Sodor Wash Down. This time Percy is the hero and washing the engine is the name of the game. This smart play set comes in its own tough zip up carry case. Whoo Whoo!